The sale to an Intentionally Defective Irrevocable Trust (IDIT) in exchange for the IDIT's promissory note has become an established estate planning technique. If the seller's life expectancy is shortened by illness, an annuity based upon the seller's life or a Self-Cancelling Installment Note (SCIN) may be substituted for the promissory note. Unlike a standard promissory note, payments under the annuity or SCIN terminate at the seller's death, leaving only payments which the seller received during his or her lifetime to be included in the seller's estate. This presentation reviews the standard sale transaction, as well as the two variations. 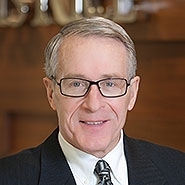 Then, we will examine authorities (including what Jerry Hesch, the Director of this Institute, refers to as "reality of sale" cases) which indicate that a properly structured sale to an IDIT should be a successful transfer tax planning strategy. Four recent cases have generated a great deal of interest among estate planning commentators. One case is a final decision by the Tax Court, Estate of Trombetta v. Commissioner. The others are the companion cases of Estate of Marian Woelbing v. Commissioner and Estate of Donald Woelbing v. Commissioner, and the case of Estate of Davidson v. Commissioner. Chief Counsel Advise (CCA) 201330033 was issued in connection with the Davidson case. This presentation studies these cases and their impact on the sale to an IDIT strategy.